AWS 2018 will be held March 3-7, 2018 at the University of Arizona in Tucson, AZ. 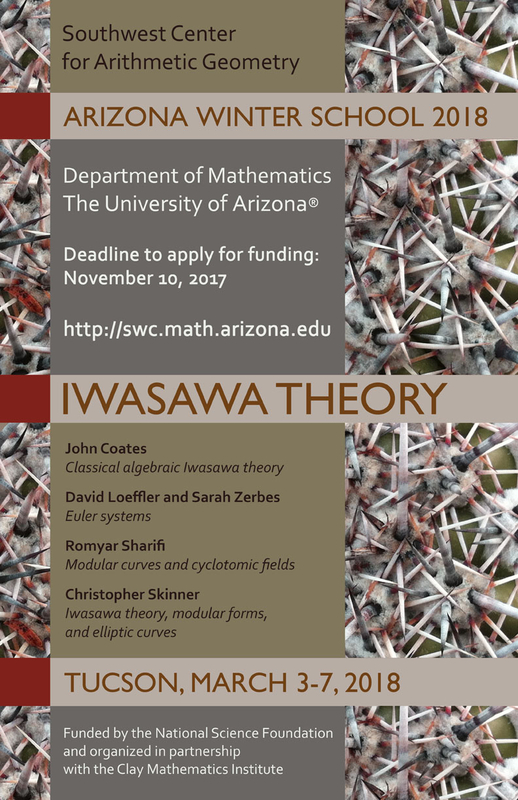 The deadline to apply for funding was November 10, 2017. The deadline to register was December 10, 2017. 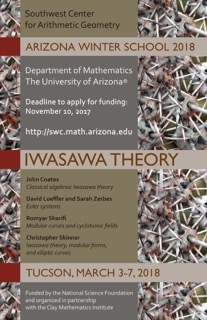 Funded by the National Science Foundation and organized in partnership with the Clay Mathematics Institute.